Rarely in history has a country so blindly, maliciously and relentlessly turned against the memory of one of its national leaders in blatant defiance of the historical facts. Unlike his uncle, Napoleon I, Louis Napoleon was not a war monger; he did not proudly parade the captured national colors of conquered lands; nor did Louis Napoleon bring many thousands of pieces of looted art and tons of gold from his European neighbors to the Louvre and the French treasury; and he did not hold the whole of western and central Europe prisoners of French bayonets year and after, until finally vanquished at Waterloo. Unlike Napoleon I, Napoleon III was a man of peace, a most remarkable builder, not a destroyer of towns and cities. Unlike Napoleon I, Louis Napoleon Bonaparte was a quiet, gentle, modest gentleman who came to power in December 1852 with a long, well prepared list of legislation and objectives intended to bring France into a new modern age. Socially and economically the France of 1852 had changed very little since the 18th century and Bourbon rule. Napoleon I, with his agenda of continual warfare had utterly decimated the country’s finances, commerce and industry. Napoleon III immediately set in motion a program introducing new financial institutions injecting vast amounts of badly needed capital into the severely depressed economy, making possible large-scale commercial and industrial development. As a result, the embryonic rail network expanded ten-fold overnight connecting Paris with Orleans, Lyon, Marseilles and Bordeaux. Traditionally isolated geographically for centuries, provincial commercial enterprises, mines and agricultural markets for the first time in history now reached Paris and the capitals of Europe. The suddenly attractive Paris Bourse drew clamoring investors from London, Vienna and St. Petersburg. Paris overnight became a thriving financial hub, thanks to the encouragement and protection of Napoleon III and the creation of new financial institutions, such as the Crédit Mobilier, the Compte d’Escompte, Crédit Foncier, Crédit Industrial et Commercial, the Banque de Paris, Crédit Lyonnais, the Société Générale and Crédit Agricole, and the introduction of sociétés anonyms, or corporations. A new prosperous middle class finally emerged, witnessed in the creation of the country’s first department stores, Samaritaine, Printemps, Bon Marché, Louvre and later the Galeries Lafayettes. The new prosperity flowed in all directions, including large-scale property development in Paris, and in the emergence of opulent new resorts at Vichy, Biarritz, Deauville and Arcachon. And Napoleon III displayed the products of the nation’s new prosperity, including the arts and the latest scientific and technological achievements at the Universal Exhibitions, or world fairs, of 1855 and 1867, literally attracting millions of visitors, from across the world, including the crowned heads of Europe. One of Napoleon III’s long-term most spectacular achievements was the rebuilding of the entire heart of the French capital. Napoleon III charged the brilliant Prefect of Paris, Baron Georges Haussmann, with the task of executing this most extraordinary project. And by 1870, at a cost of $32 billion dollars (current value) the baron had totally transformed the face of the capital, with long broad tree-lined gas-lit avenues and handsome new buildings. Having razed to the ground hundreds of acres of squalid teaming medieval slums, he replaced them with street after street of modern sanitary residences and apartment buildings. And such is the Paris that one still finds today. Miles of these “grands boulevards” converged round Garnier’s new Opéra, and where the Champs Elysées joins the Etoile at the Arc de Triomphe, from which a dozen new spacious avenues fanned out in all directions, including the chic Avenues Foche and Victor Hugo. The Bois de Boulogne, the Park Montsouris, the Bois Vincennes, and dozens of new squares were planted with tens of thousands of trees and opened to the public. Haussmann also built new bridges over the Seine, including the Pont d’Arcole and the Pont d’Austerlitz, while repairing a dozen others. Important new sources of fresh water were brought to the city by aqueducts, replacing the polluted wells, and a vast underground system of canals drained the city of its sewage, sharply reducing the amount of illness (including cholera, dysentery and typhoid) and the number of deaths annually. All of these projects naturally provided work for at least one hundred thousand unemployed workers for many years to come, and ultimately some 44,000 new buildings were completed by 1870. Never in the two thousand year history of Paris had such a monumental transformation taken place. Despite much initial opposition, in the long run Louis Napoleon earned the praise of the world for his fabulous success. Napoleon III was especially preoccupied with public education. He made compulsory primary education for the masses a priority. Illiteracy would end. New schools were built to meet this need, while the existing lyçées were extensively modernized and extended, including modern laboratories for scientific research, another top priority. New hospitals were built by Haussmann, including facilities for the mentally ill, another priority of Haussmann. Many places of worship were razed during the reconstruction period and replaced, including the Protestant Reformed Church in the Rue Roquépine and handsome synagogues in the Rue de la Victoire and the Rue des Tournelles. In an age when the word “environment” was not even in the vocabulary, Louis Napoleon insisted on establishing a series of national programs, including the reclamation of millions of acres of swamp and wasteland, converting them to fields of wheat, corn and food on the table. He replanted large forests in the mountains and planted an entirely new one in the Landes. Along with this he established several model farms, while improving the breeds of livestock and horses. 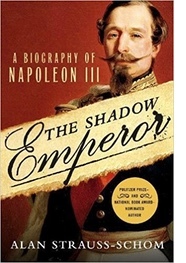 Louis Napoleon was involved in two wars, not of his choosing. As England’s new ally, he was obliged to fight the Russians in the successful but bloody Crimean War in the mid-1850s. He was also pressured into sending a French army to occupy Mexico for Archduke Maximilian, much against his judgment, and which ended so disastrously. On the other hand Louis Napoleon willingly sent 200,000 French troops to Italy at the request of King Victor Emmanuel to oust the Austrian army occupying the north of that country. The defeat of the Austrians led to the creation of a united Italy in 1859 and the independent Kingdom of Italy in 1861. Napoleon III’s colonial expansion included enclaves in West Africa, the initial conquest of southern Indochina round Saigon, and the occupation of New Caledonia. But of all Louis Napoleon’s colonial preoccupations, Algeria – inherited from Louis Philippe – easily took first place. As emperor Louis Napoleon closely followed events in the continuing war of “pacification” there, involving a permanent army of at least 60,000 men. Misguided but well intended, and bent on improving the lives of the Algerians, he set in motion the break down of tribal structures, while offering them French passports if they converted to Christianity–an act that outraged the French people. But the fighting continued, despite Napoleon III’s personal long tour of Algeria in 1865 in an attempt to find a solution to end the conflict, and the mounting casualty figures reaching Paris. 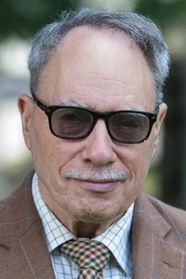 Ultimately Algeria became a French “Vietnam,” where by 1950s their army had grown to 500,000. Today five-million North Africans occupy the slums of French cities. A legacy without a solution. If Louis Napoleon’s hopes and plans for Algeria were sincere, reality turned out to be something else. 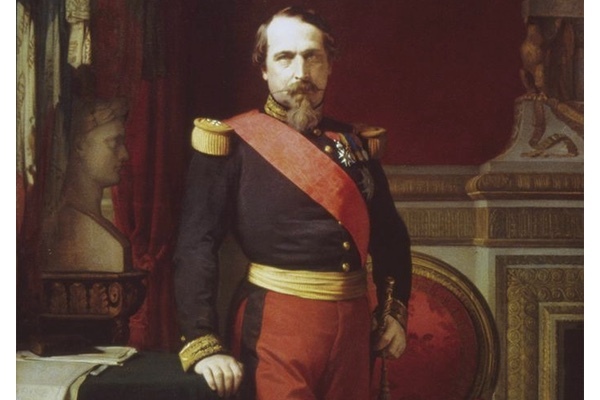 Napoleon III’s empire collapsed when he fell victim to Bismarck’s long-planned invasion of France in 1870, at a time Louis Napoleon himself was seriously ill and in great agony from a two and a half-inch gallstone, leaving him unable even to stand. Sedated by opium much of the time he was incapable of commanding either the country or the army, and in January 1871 France surrendered to Prussia. Today the French still have not forgiven Louis Napoleon for the loss of that war, the stiff war-indemnity of five billion francs, and the loss of 1.6 million French citizens to the Prussians, who seized Alsace and much of Lorraine, while conveniently forgetting all the good that he had really achieved. On a happier note the Second Empire closed with the opening of the Suez Canal, the gateway to the future. And yet, despite all his faults, Louis Napoleon’s intentions were honorable and most constructive, providing a long-term legacy, introducing progressive education, new hospitals and a greatly expanding economy thanks to a thriving commercial and industrial revolution. Napoleon III also succeeded in removing some of the shackles of the working class. He completely rebuilt the national economy, created genuine prosperity for the country’s first middle classes, and launched the country into a modern new world. Today his vision is symbolized in the City of Light, Paris, and all that it represents. This entry was posted in France, French, History. Bookmark the permalink.